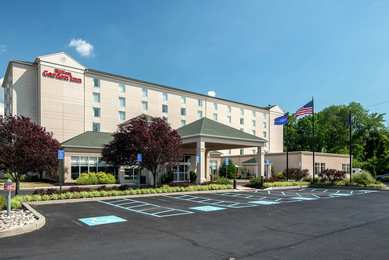 "The hotel staff was friendly and courteous. Breakfast was good.2018-02-19"
"Convenient to a major highway and close to Philadelphia. The hotel was clean. The manager greeted us when we arrived and did a great job of making us feel welcome. She recommended a great restaurant, too. The breakfast attendants provided excellent service. I highly recommend this hotel.2018-02-01"
"Fast check-in. We waited 45 minutes for a bartender to appear at the bar. We finally asked the hotel clerk, and she said she didn't know where he was.2016-10-31"
"Clean hotel with great staff. I had a good stay.2016-08-02"
"An excellent hotel with cooperative employees. We enjoyed dinner at the restaurant.2015-10-08"
Learn more about Fort Washington Hotels & Motels in our Fort Washington Hotels Guide.